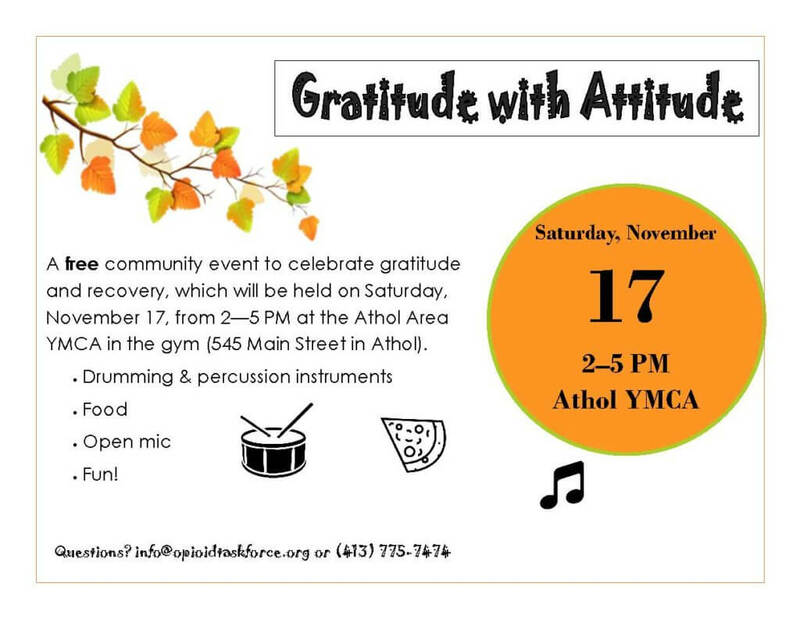 A free community event to celebrate gratitude and recovery, which will be held on Saturday, November 17, from 2 – 5 PM at the Athol Area YMCA in the gym (545 Main Street in Athol). Drumming, percussion, food, open mic and fun! Free and open to the public. All community members are invited and welcome to attend. RSVPs not required. Questions? Please email info@opioidtaskforce.org or call (413) 775-7474.